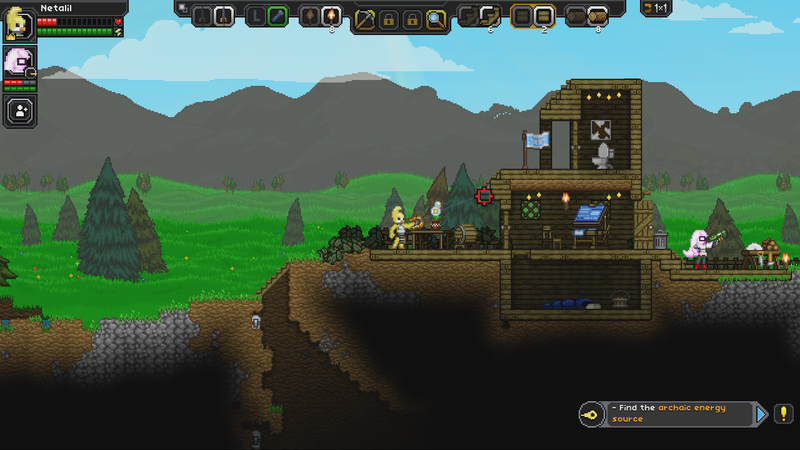 We had a really great time at PC Gamer Weekender this past weekend and got some really great feedback on the latest build of Starbound, including the intro mission! We’re all flying out to San Francisco this weekend for GDC, so we’ve got a whole lot to get done this week. Busy busy times! 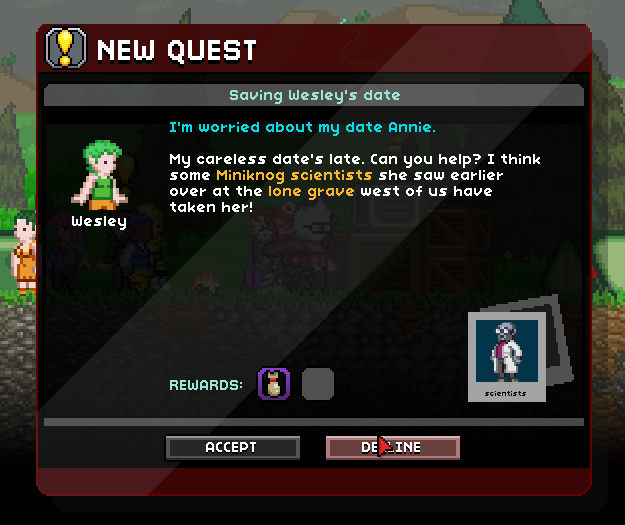 We’ve done a bunch of work on quest generation! 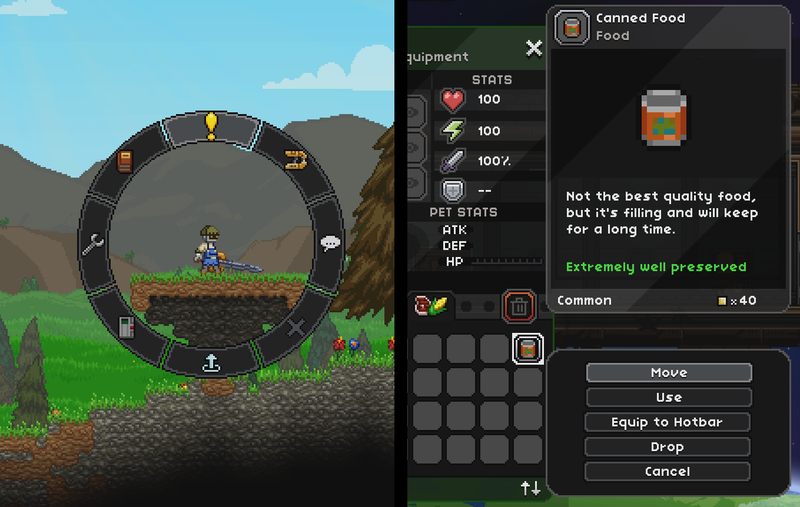 NPCs on planets will generate quests for you that change based on what exists in that world. We’ve also implemented a quest compass to help you better figure out where you’re supposed to go, and a quest tracker so that you can keep track of what you’ve got left to do. Oh hey look, Tccoxon’s made a nifty video! What do you think? Post your thoughts here!